We are thrilled to be a part of The Interior Design Committee of Young Collectors Night at this year's Winter Antiques show at the Park Avenue Armory. We hope that you can make it to the show, now in its 61st year to see antique furnishings, objects, and jewelry from some of the most important antiques dealers in the country. This show benefits the East Side Housing Settlement in the South Bronx. We hope to see you there! We partnered with the Macklowe Gallery LTD (Booth 56) to discuss how we would integrate a Coral, Mother of Pearl, Diamond and Gold Hummingbird Brooch by Kutchinsky c. 1970 into our design work. We are honored to design a room at this year's Holiday House Showhouse NYC to benefit The Breast Cancer Research Foundation. Opening night at this year's Holiday House Showhouse was a huge success! Edward Fields, Buchmuller, Eva Buchmuller, Elena del Rivero, Edmund Lewis Limited, Sergio Woodworks, Circle Studio for House of Lipps, Nobillis, Manzanares Furniture Corp., Donghia, Christopher Hyland, Samuel and Sons, Philip Jeffries, Frette, Lorin Marsh, Bernd Goeckler Antiques, Maison Gerard, Donzella Ltd., John Salibello Antiques, Jason Miller for Roll and Hill, Michael C. Fina Co., Farrow & Ball, House of Troy, and Millennium Collection. Watch channel 4 NBC on Sunday April 20th at 8:30am to see Joan speak about her house on Open House NY. Come see us at Kips Bay Decorator Show house! 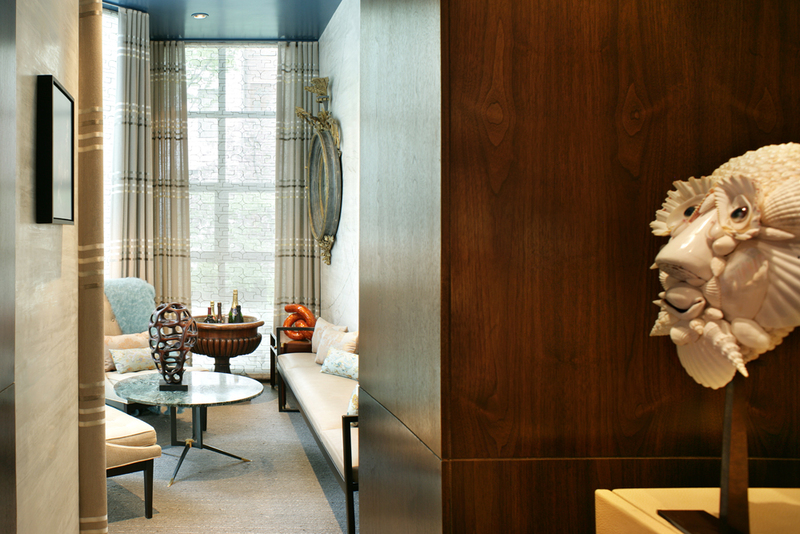 We here at Dineen Architecture + Design are honored to participate in this year's Kips Bay Decorator Show House! We hope that you will visit the house to see the bar and wine tasting room that we designed on the parlor floor. We will be posting more photos in the days ahead. The house is located at 161 E 64th Street, New York, New York and is open 7 days a week now thru June 4th.